I was too young for Bruce Lee's classic films; movies like Fist of Fury and Enter the Dragon were filmed and released over a decade before my birth. Instead, I grew up on Dragon: The Bruce Lee Story, a family-friendly retelling of the legendary martial artist's life story. As a child, I watched Dragon with a studied eye, enthralled in equal parts by the (melo)dramatic details of Lee's biography as I was by the scenes of a slender man crouching low, arms loosely flexed, torso bending like a reed in moving water, dark eyes simmering with cool confidence, a high-pitched noise emerging through pursed lips. Two heartbeats of breathless anticipation, and then an explosion of carefully timed, blink-and-you'll-miss-it strikes impossible for any opponent to withstand. Badassery, thy name is Bruce Lee. When I learned later in life that a course in Jeet Kune Do, Bruce Lee's signature martial art, could satisfy my alma mater's physical fitness requirement, I was instantly fixated upon the idea of enrolling. Nothing seemed more awesome than becoming a student of the martial art developed by the legendary Bruce Lee. Sadly, the Jeet Kune Do class conflicted with a core class requirement for my major. I ended up taking six semesters of karate, instead. I was a terrible student of karate. Within weeks of becoming a student, I did the math: I calculated that if I promoted one belt a semester, I could earn a black belt by senior year. That quickly became my goal. For a couple of semesters, the promise of that black belt compelled me to study hard in my chosen martial art. But eventually, I lost interest in karate as other extracurricular activities (including my burgeoning Asian American student activism) demanded increasingly more of my attention. And yet, for years, I continued to sign up for my karate class. I would trudge up the hill that separated my dorm room from the student fitness center, moving slower and slower with each passing week. Eventually, I only showed up just often enough to ensure I didn't accrue enough class absences to jeopardize a spot at the end-of-semester belt test. Semester after semester, I promoted through the belt colours, and yet, with each promotion, that black belt lost more of its allure. Eventually, I dropped out of class altogether. I never made it to the black belt. Admittedly, I never deserved the ones I received, either. In retrospect, it seems inaccurate to call Jeet Kune Do a fighting style. Originally a student of Wing Chun, Lee developed Jeet Kune Do over a lifetime of study of martial arts. Jeet Kune Do's ceaseless movement and rapid-fire combinations make for great Hollywood B-roll. Rarely do we remember that martial artists are not mere fighters; they are philosophers. Bruce Lee was no exception. Among Lee's most compelling self-reflections are his discussions over the nature of resilience and resistance. In 1971, he famously described the concept of wu wei as striving to "be like water." After spending many hours meditating and practicing, I gave up and went sailing alone in a junk. On the sea I thought of all my past training and got mad at myself and punched the water! Right then -- at that moment -- a thought suddenly struck me; was not this water the very essence of gung fu? Hadn't this water just now illustrated to me the principle of gung fu? I struck it but it did not suffer hurt. Again I struck it with all of my might -- yet it was not wounded! I then tried to grasp a handful of it but this proved impossible. This water, the softest substance in the world, which could be contained in the smallest jar, only seemed weak. In reality, it could penetrate the hardest substance in the world. That was it! I wanted to be like the nature of water. Suddenly a bird flew by and cast its reflection on the water. Right then I was absorbing myself with the lesson of the water, another mystic sense of hidden meaning revealed itself to me; should not the thoughts and emotions I had when in front of an opponent pass like the reflection of the birds flying over the water? This was exactly what Professor Yip meant by being detached -- not being without emotion or feeling, but being one in whom feeling was not sticky or blocked. Therefore in order to control myself I must first accept myself by going with and not against my nature. With Jeet Kune Do, Bruce Lee codified his belief that strength required adaptability. To stand still -- physically, mentally or emotionally -- was to stay rigid, and in that stagnation was weakness and death. After all, observed Lee in one of his writings, moving water or heated steam could crack any stone. "There is no such thing as maturity. There is instead an ever-evolving process of maturing. Because when there is a maturity, there is a conclusion and a cessation. That's the end. That's when the coffin is closed. You might be deteriorating physically in the long process of aging, but your personal process of daily discovery is ongoing. You continue to learn more and more about yourself every day." For Lee, the purpose of martial arts was not to empower students with the tools to achieve victory in physical combat. Instead, kung fu was a framework through which students might embark upon a lifelong journey of self-discovery. It was this lesson that I never learned during my time as a mediocre student of karate, and in failing to understand this, I ultimately failed as a karate practitioner. I never understood that to be a student of the martial arts is to prize the journey of the study over the destination of the belt test. There is no completion of a martial art, no meaningful token of final mastery at which point a student is no longer a student. A black belt is not a destination, only a step in a much longer journey. Bruce Lee's journey embraced movement. Like water, strength comes from freeing oneself from the rigid confines of formal structure; to embrace fluidity; to adapt; to learn; to evolve; to change. Social justice work is a kung fu of a different sort. The battles are political, not physical. We fight with our words rather than with our fists. 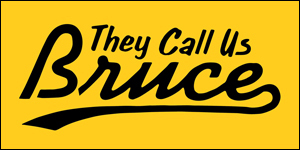 And yet, we might discern commonalities between students of both martial arts and social justice; as evidence, we need look no further than the fact that Bruce Lee has been an enduring icon of the modern Asian American Movement, including of this blog -- Angry Asian Man. 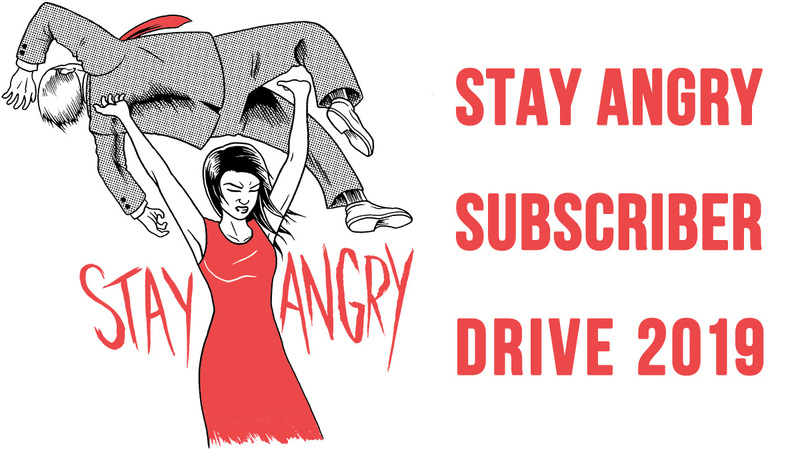 Earlier this year, Angry Asian Man's Phil Yu celebrated fifteen years of this blog's founding. At the end of this year, my blog -- Reappropriate -- will mark a similar milestone. Once naïve young college-aged diarists, we and a handful of others are now seasoned writers whose platforms have long surpassed the reach we imagined at the outset. Like many of my generation, I have grown up alongside my blog. Gone are the days when I was a brash and fiery college student, eager to change the world with a raised fist and a righteous slogan. My angry fire has tempered into a slower burn, and I am more focused on tactics that weaken systemic structures of oppression through teaching, mentoring, and radical love. These days, I also spend less time focused on where we -- as a community -- are going; I often enjoy reflecting on how far we have come. With that comes a deeper understanding of how much I have learned in the years since my blog's founding, and how the process of learning and self-reflection never ends. Progress, in social justice as in the martial arts, is often (painfully) slow. Yet, as demonstrated by my brief foray into karate, excessive focus on some distant destination too often causes us to lose sight of our own personal journeys; and yet, only in the journey does our destination emerge. Liberation is not a place, but an ever-broadening of our collective minds. Bruce Lee was, indeed, correct: our Asian American Movement is written through movement -- of both body and mind. The Movement suffers with stagnation of goals and tactics. It is often tempting to centralize our own experiences and opinions. But, when we portray ourselves as the primary expert on a particular racialized or gendered experience (as if such an experience were singular and immutable), we slow the process of self-reflection, self-questioning, and change. Instead, we must always challenge ourselves to embrace fluidity of thought -- even if that fluidity can be at times uncomfortable and humbling. Intellectual rigidity produces ideas that easily shatter and break. Like water, we must try to be more malleable in our ideas about truth and progress, and to constantly reassess our opinions so that we can incorporate the intersecting experiences of those traditionally excluded from our common narratives: women, people of colour, immigrants, the economically disadvantaged, and other disenfranchised people. A sustainable revolution requires that we surrender our own egos to an endlessly growing sea of diverse stories. To build out of this ocean of varied narratives a politic that is capable of sustainable social revolution is to accept Bruce Lee's truth: there is no maturity, only an ever-evolving process of maturing. Grace Lee Boggs, a warrior of a different sort, called this process of progressive self-discovery and intellectual adaptation "[r]evolution," and she believed it to be critical to transform individual acts of rebellion into lasting social change. "Activism can be the journey rather than the arrival," writes Boggs in her book, The Next American Revolution: Sustainable Activism for the Twenty-First Century. 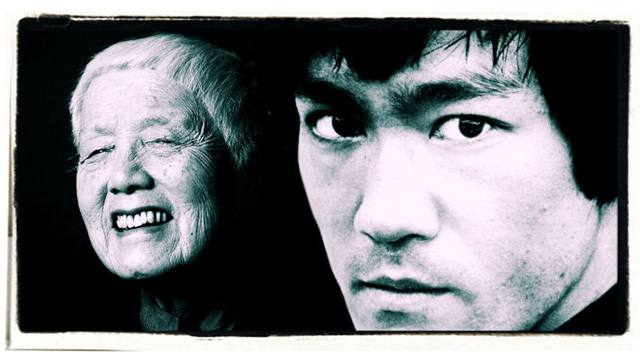 Both Bruce Lee and Grace Lee Boggs have left us with the same lesson. We are all journeymen in search of social justice for Asian Americans, and for all people. We must respect all our fellow travelers, knowing that some of us have been on this path for years while others have just set out on this journey. Our routes might converge or diverge, and still we must take solace in the knowledge that we all jointly seek this thing called social justice. And so, we must keep moving, because only in our collective movement is our Movement born and will liberation one day be found. Jenn Fang is founder of Reappropriate.co, one of the web's oldest and most popular blogs dedicated to Asian American and Pacific Islander race advocacy, feminism, pop culture, and politics. She can be found on Twitter and Facebook.